IT is difficult for this age to estimate correctly the profound effect produced upon the religions, philosophies, and sciences of antiquity by the study of the planets, luminaries, and constellations. Not without adequate reason were the Magi of Persia called the Star Gazers. The Egyptians were honored with a special appellation because of their proficiency in computing the power and motion of the heavenly bodies and their effect upon the destinies of nations and individuals. Ruins of primitive astronomical observatories have been discovered in all parts of the world, although in many cases modern archæologists are unaware of the true purpose for which these structures were erected. While the telescope was unknown to ancient astronomers, they made many remarkable calculations with instruments cut from blocks of granite or pounded from sheets of brass and cop per. In India such instruments are still in use, and they posses a high degree of accuracy. In Jaipur, Rajputana, India, an observatory consisting largely of immense stone sundials is still in operation. The famous Chinese observatory on the wall of Peking consists of immense bronze instruments, including a telescope in the form of a hollow tube without lenses. The pagans looked upon the stars as living things, capable of influencing the destinies of individuals, nations, and races. That the early Jewish patriarchs believed that the celestial bodies participated in the affairs of men is evident to any student of Biblical literature, as, for example, in the Book of Judges: “They fought from heaven, even the stars in their courses fought against Sisera.” The Chaldeans, Phœnicians, Egyptians, Persians, Hindus, and Chinese all had zodiacs that were much alike in general character, and different authorities have credited each of these nations with being the cradle of astrology and astronomy. The Central and North American Indians also had an understanding of the zodiac. The Greeks, and later other peoples influenced by their culture, divided the band of the zodiac into twelve sections, each being sixteen degrees in width and thirty degrees in length. These divisions were called the Houses of the Zodiac. The sun during its annual pilgrimage passed through each of these in turn, Imaginary creatures were traced in the Star groups bounded by these rectangles; and because most of them were animal–or part animal–in form, they later became known as the Constellations, or Signs, of the Zodiac. There is a popular theory concerning the origin of the zodiacal creatures to the effect that they were products of the imagination of shepherds, who, watching their flocks at night, occupied their minds by tracing the forms of animals and birds in the heavens. This theory is untenable, unless the “shepherds” be regarded as the shepherd priests of antiquity. 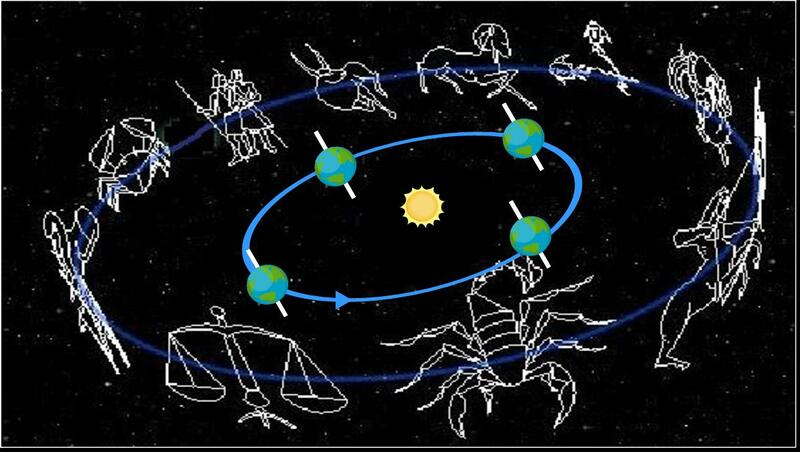 It is unlikely that the zodiacal signs were derived from the star groups which they now represent. It is far more probable that the creatures assigned to the twelve houses are symbolic of the qualities and intensity of the sun’s power while it occupies different parts of the zodiacal belt. 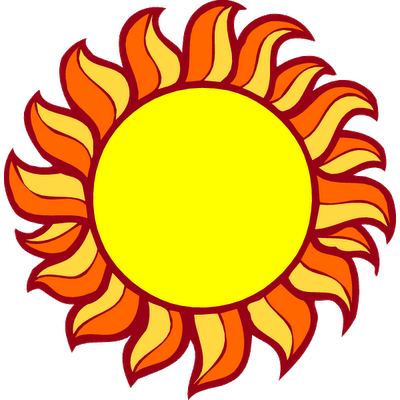 Among the ancients the sun was always symbolized by the figure and nature of the constellation through which it passed at the vernal equinox. For nearly the past 2,000 years the sun has crossed the equator at the vernal equinox in the constellation of Pisces (the Two Fishes). For the 2,160 years before that it crossed through the constellation of Aries (the Ram). Prior to that the vernal equinox was in the sign of Taurus (the Bull). It is probable that the form of the bull and the bull’s proclivities were assigned to this constellation because the bull was used by the ancients to plow the fields, and the season set aside for plowing and furrowing corresponded to the time at which the sun reached the segment of the heavens named Taurus. Albert Pike describes the reverence which the Persians felt for this sign and the method of astrological symbolism in vogue among them, thus: “In Zoroaster’s cave of initiation, the Sun and Planets were represented, overhead, in gems and gold, as was also the Zodiac. The Sun appeared, emerging from the back of Taurus. ” In the constellation of the Bull are also to be found the “Seven Sisters”–the sacred Pleiades–famous to Freemasonry as the Seven Stars at the upper end of the Sacred Ladder. Nearly every religion of the world shows traces of astrological influence. The Old Testament of the Jews, its writings overshadowed by Egyptian culture, is a mass of astrological and astronomical allegories. Nearly all the mythology of Greece and Rome may be traced in star groups. Some writers are of the opinion that the original twenty-two letters of the Hebrew alphabet were derived from groups of stars, and that the starry handwriting on the wall of the heavens referred to words spelt out, with fixed stars for consonants, and the planets, or luminaries, for vowels. These, coming into ever-different combinations, spelt words which, when properly read, foretold future events. While Hermes still walked the earth with men, he entrusted to his chosen successors the sacred Book of Thoth. This work contained the secret processes by which the regeneration of humanity was to be accomplished and also served as the key to his other writings. Nothing definite is known concerning the contents of the Book of Thoth other than that its pages were covered with strange hieroglyphic figures and symbols, which gave to those acquainted with their use unlimited power over the spirits of the air and the subterranean divinities. When certain areas of the brain are stimulated by the secret processes of the Mysteries, the consciousness of man is extended and he is permitted to behold the Immortals and enter into the presence of the superior gods. The Book of Thoth described the method whereby this stimulation was accomplished. In truth, therefore, it was the “Key to Immortality.” According to legend, the Book of Thoth was kept in a golden box in the inner sanctuary of the temple. There was but one key and this was in the possession of the “Master of the Mysteries,” the highest initiate of the Hermetic Arcanum. He alone knew what was written in the secret book. The Book of Thoth was lost to the ancient world with the decay of the Mysteries, but its faithful initiates carried it sealed in the sacred casket into another land. The book is still in existence and continues to lead the disciples of this age into the presence of the Immortals. No other information can be given to the world concerning it now, but the apostolic succession from the first hierophant initiated by Hermes himself remains unbroken to this day, and those who are peculiarly fitted to serve the Immortals may discover this priceless document if they will search sincerely and tirelessly for it. It has been asserted that the Book of Thoth is, in reality, the mysterious Tarot of the Bohemians–a strange emblematic book of seventy-eight leaves which has been in possession of the gypsies since the time when they were driven from their ancient temple, the Serapeum. (According to the Secret Histories the gypsies were originally Egyptian priests.) There are now in the world several secret schools privileged to initiate candidates into the Mysteries, but in nearly every instance they lighted their altar fires from the flaming torch of Herm. Hermes in his Book of Thoth revealed to all mankind the “One Way,” and for ages the wise of every nation and every faith have reached immortality by the “Way” established by Hermes in the midst of the darkness for the redemption of humankind. (Not for the ‘profane’) This has been dated to at least 50,000 BC. It is amazing!